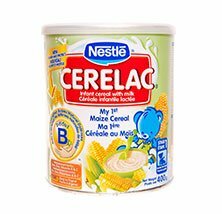 Nestle CERELAC Infant Maize Cereal, 400g (Pack of 12) | Golden Tropics, Ltd.
Sold in a pack with 12 Containers. 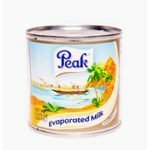 Peak instant full cream powdered milk is sold in a pack with 24 individual cans. The weight of each can is 41.2oz (400g). 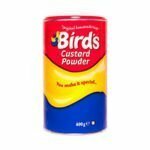 Birds custard powder original is sold in a pack with 12 individual containers. 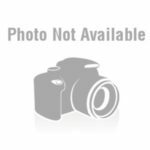 The weight of each container is 22oz (600g).